Brothers Kenny and Keith Wagoner have moved their popular Irish restaurant to its new home at 9999 S Mingo Road and with the move comes even more of the brothers’ legendary hospitality and flavor. 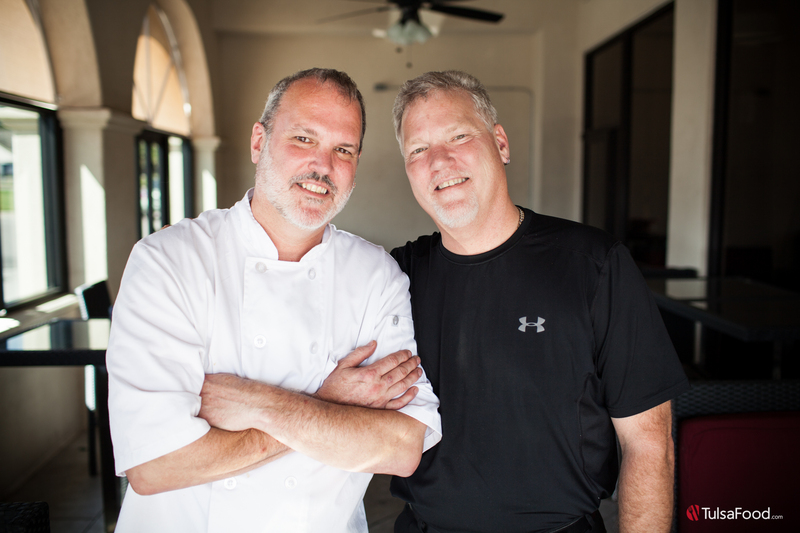 In addition to a fresh and open space, the brothers have recreated their menu with many of the favorites that have made the restaurant a local favorite as well as adding a few that are sure to delight Tulsa diners. “We want to extend our love of Ireland and the Irish experience to our guests,” said Kenny who serves as both owner and chef. 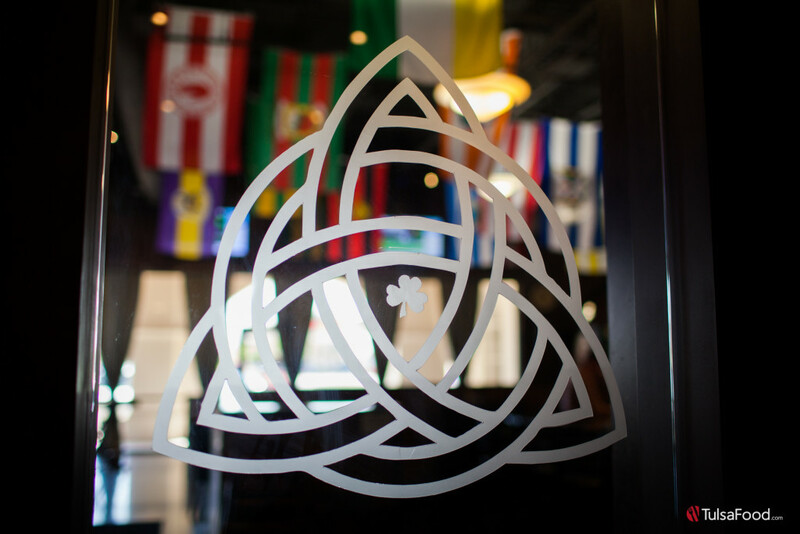 With help from their family – even their mother, Margaret, appears to greet guests during the day – the brothers have retained the essence of their original restaurant while continuing to give guests and authentic Irish dining experience. The menu features an ambitious mixture of appetizers, Irish stews, soups and salads along with Paddy’s Pasta, sandwiches and burger. Additionally, an Irish Breakfast is served all day. Beautifully prepared and presented “sweet things” include assorted desserts created by their pastry chef. 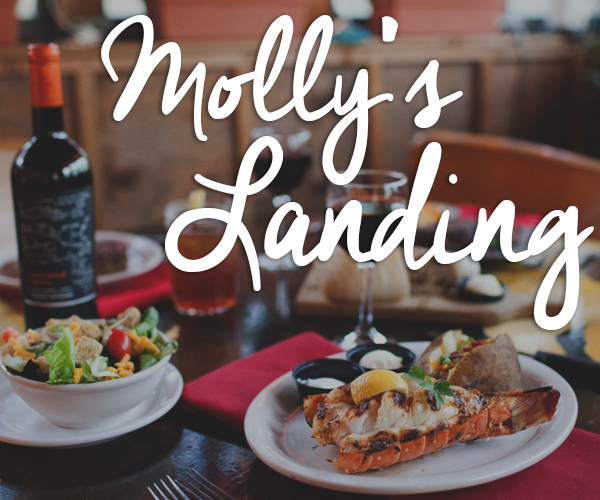 The friendliness of the staff along with the relaxed and comfortable setting compliment the menu in this family-owned-and-operated establishment. On our visit we sampled many of the restaurants’ stand out items and we’re happy to share our experience here. An appetizer of Crab Cakes began our meal. 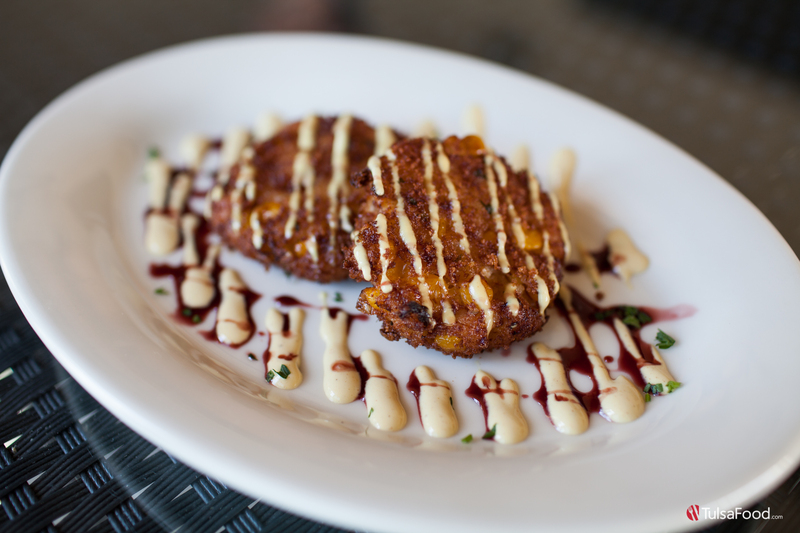 These featured lump crab tossed with caramelized vegetables and a hint of Dijon cream, then breaded and pan friend a tasty golden brown. Like all the offerings, the size of this presentation is a great value, making this a great lunch or even a light dinner for one. 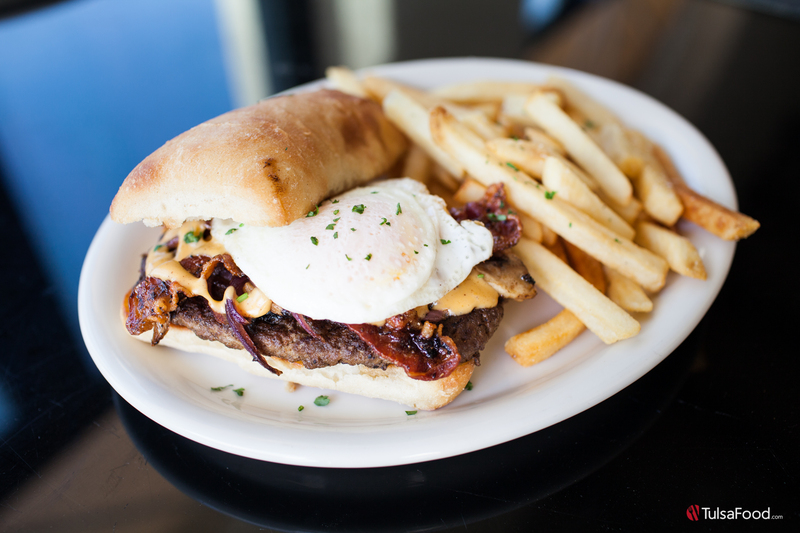 Next, we sampled the Sligo: a seven ounce burger topped with grilled onions, mushrooms, and pepper bacon with an over easy egg and Paddy’s signature Celtic cheese sauce all served on a toasted Irish loaf. Large and filling this made my “have-to-come-back-for-more” list. By the way, for those new to the Irish brogue, a “sligo” is an Irish hamburger! 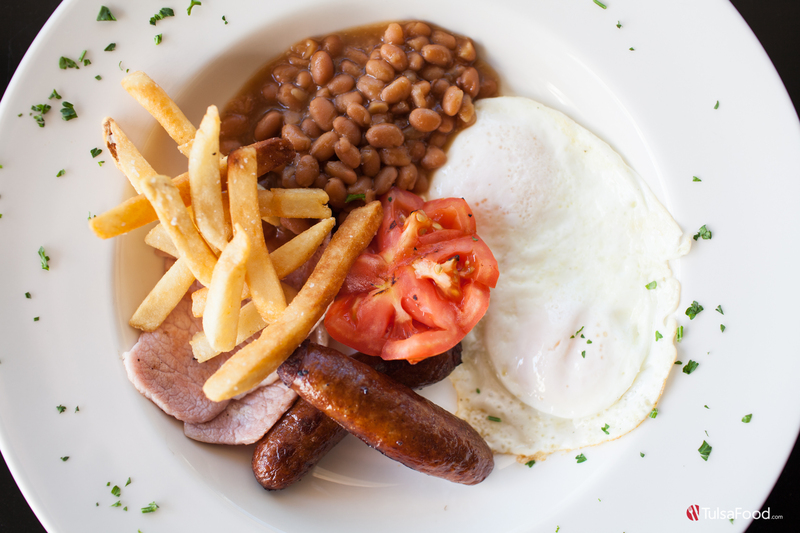 The generously sized Irish Breakfast – served all day – is a complete feast with fried eggs, “bangers” (sausage), rashers (bacon), fresh tomato and tangy baked beans along with a side of chips (potatoes). This is the kind of selection that would make a great late night dinner or pick up for a Sunday morning feast. And it is but one of the “Big Plates” on the menu with other Irish traditional entrees that are all served, all day. 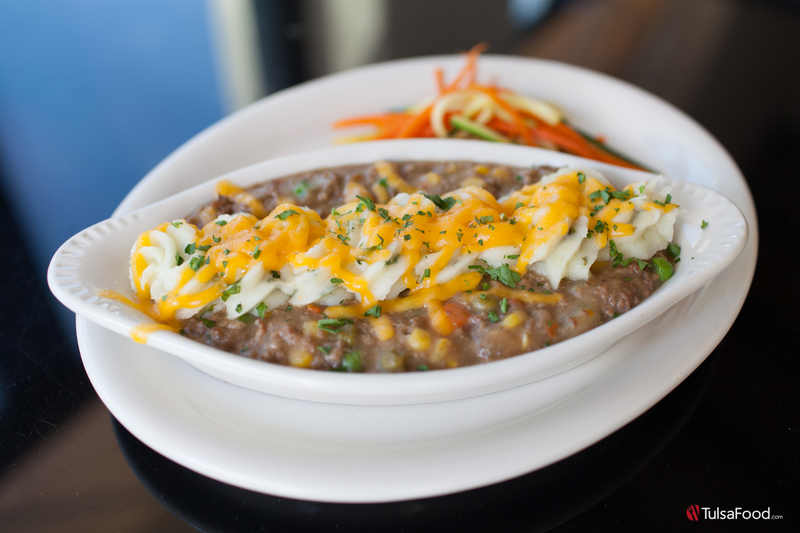 No Irish feast would be complete with a Traditional Shepard’s Pie. This interpretation is a welcoming comfort food with lean ground beef and fresh vegetables topped with colcannon and cheese. It also made my “favorite” list for my visit. 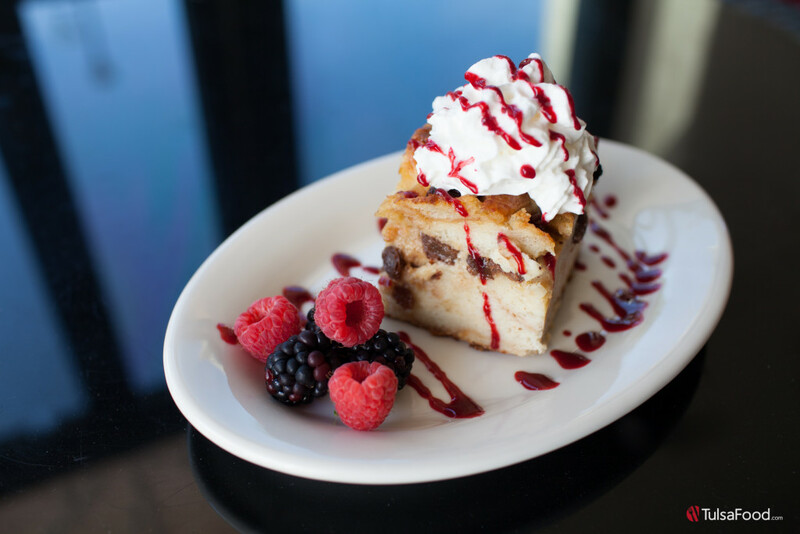 Finally, we delighted in the Bread Pudding a slightly sweet confection created with berry compote made of black berries and raspberries with a kiss of honey. It’s a perfect finish to an Irish meal, just a touch of sweetness with a tart finish and one of the many desserts made by Paddy’s Pastry Chef, Kevin Jinbra. 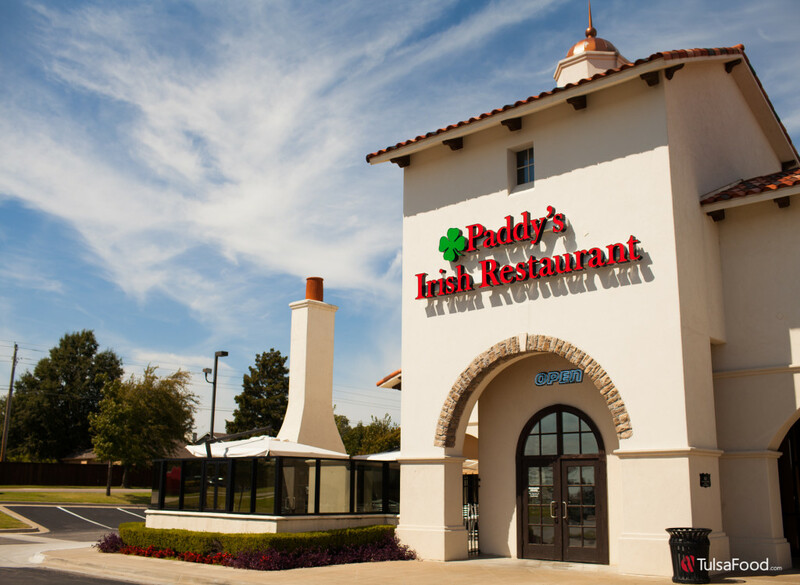 Paddy’s Irish Restaurant has successfully retained its flavor while adding an upscale, yet comforting presence to the Tulsa food scene. 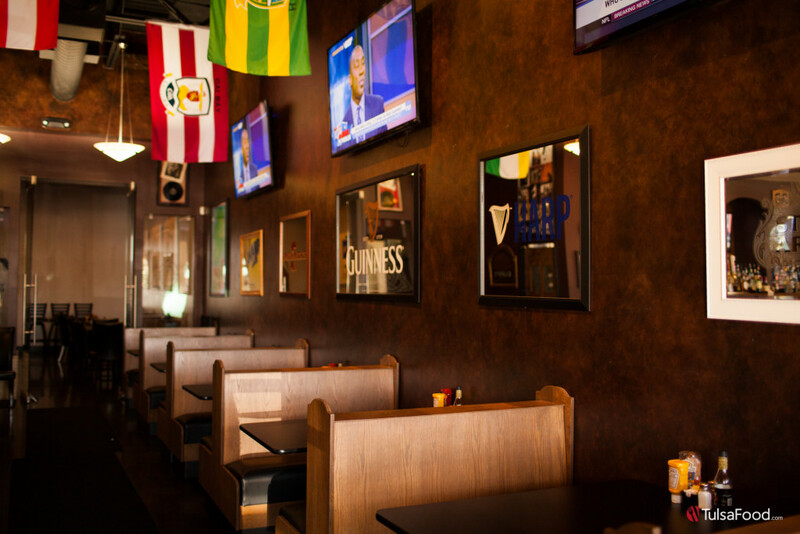 With a full bar, plenty of Irish smiling eyes and impeccable service, it’s a must-stop for any serious Tulsa diner. Paddy’s is now located at 9999 South Mingo Road in Tulsa and is operated 11 a.m. to 10 p.m. Monday through Thursday, 11 a.m. to 1 a.m. Friday and Saturday. Paddy’s is closed on Sundays. 918.615.6999. www.paddystulsa.com.